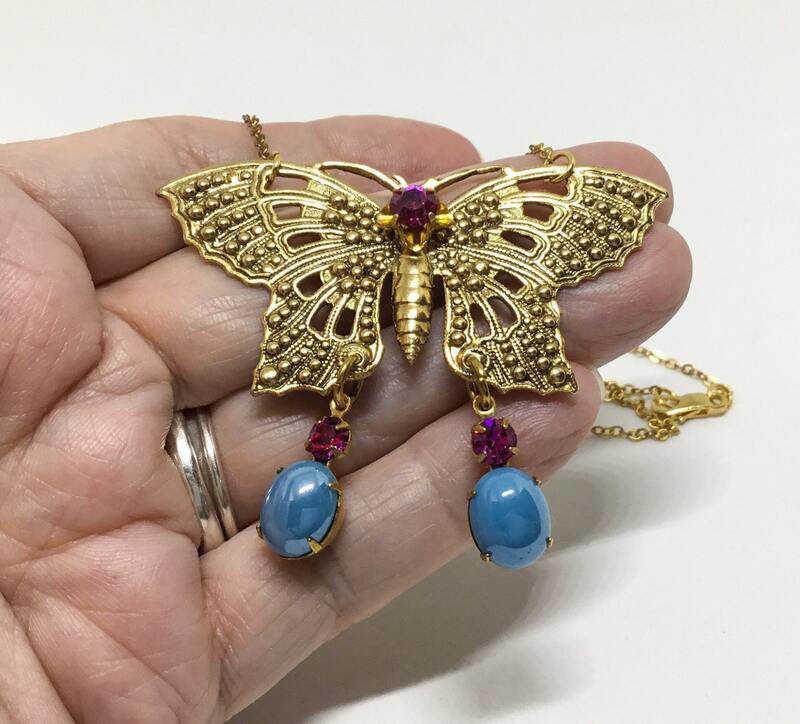 This is adorable handmade pendant is made from different findings. 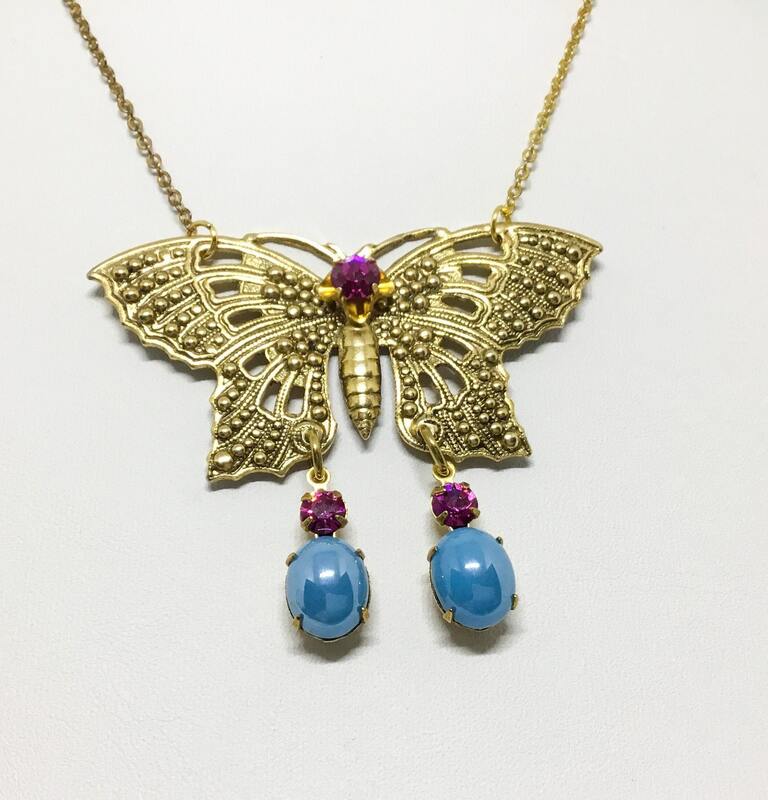 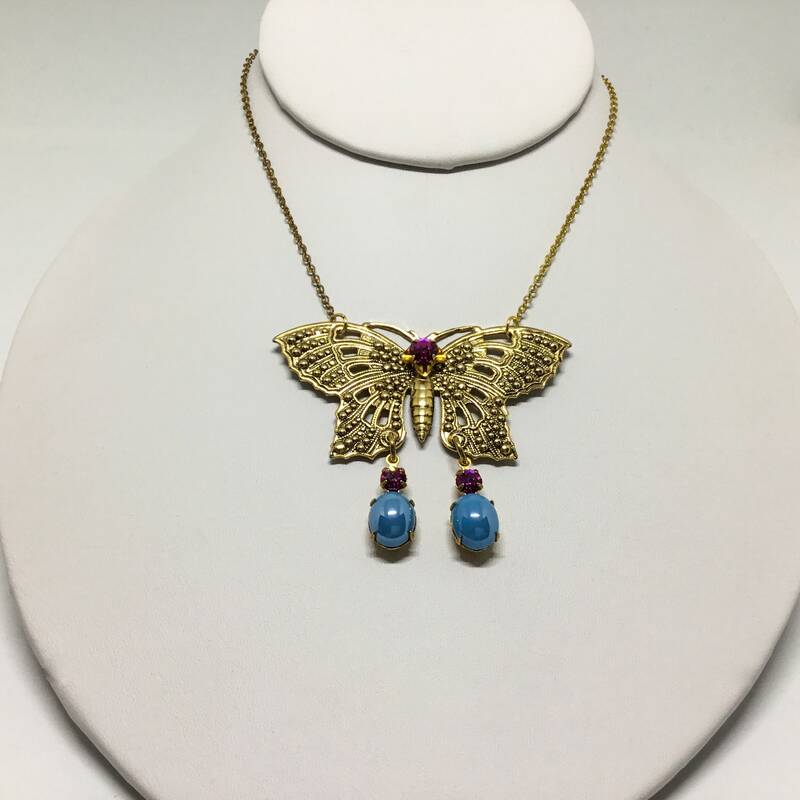 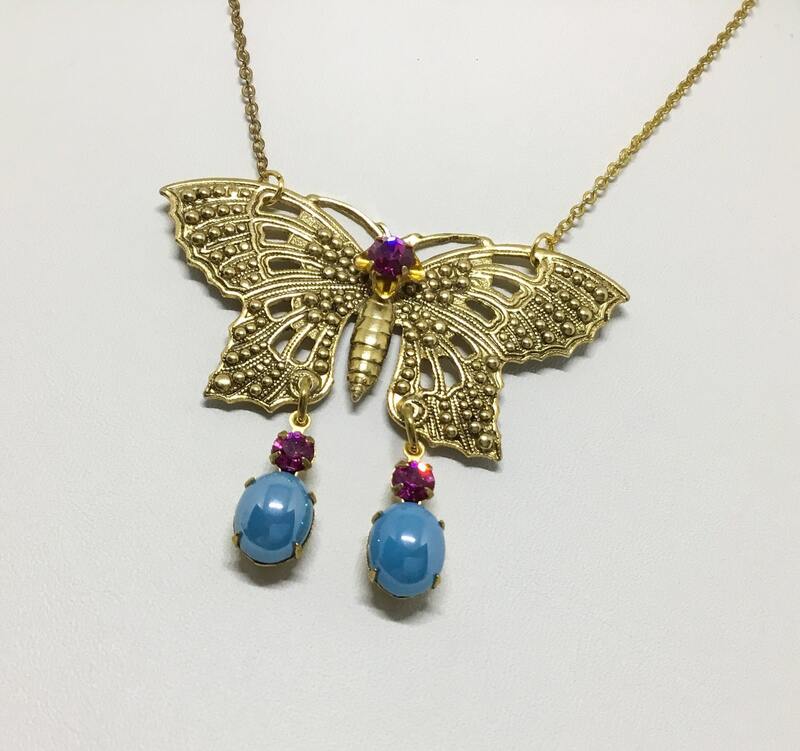 The goldtone openwork brass butterfly has a vintage fuchsia rhinestones on it thorax which is afixed with a micro rivet. 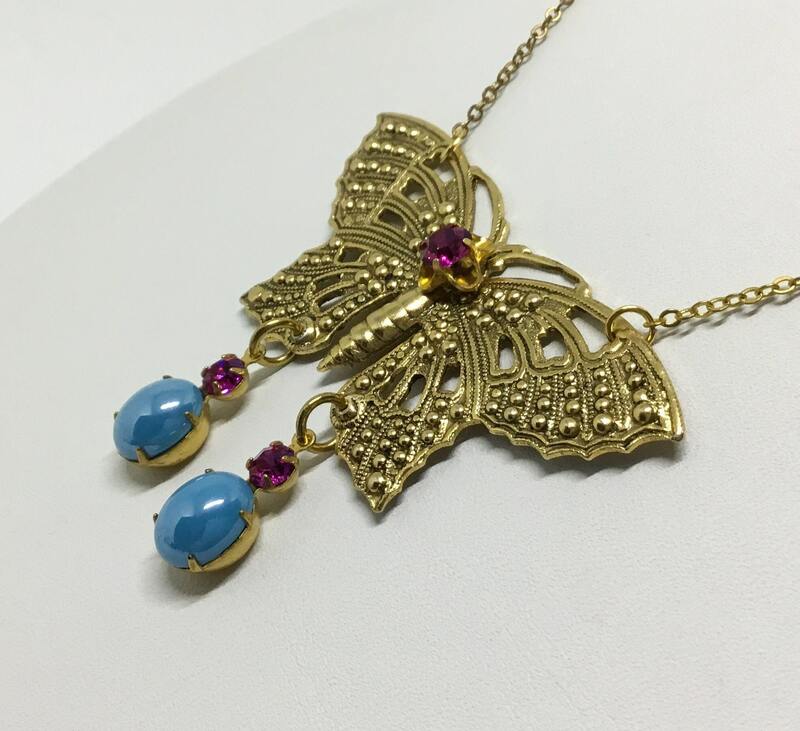 There are also two dangles with each consisting of a fuchsia rhinestone and a blue/green glossy bead. 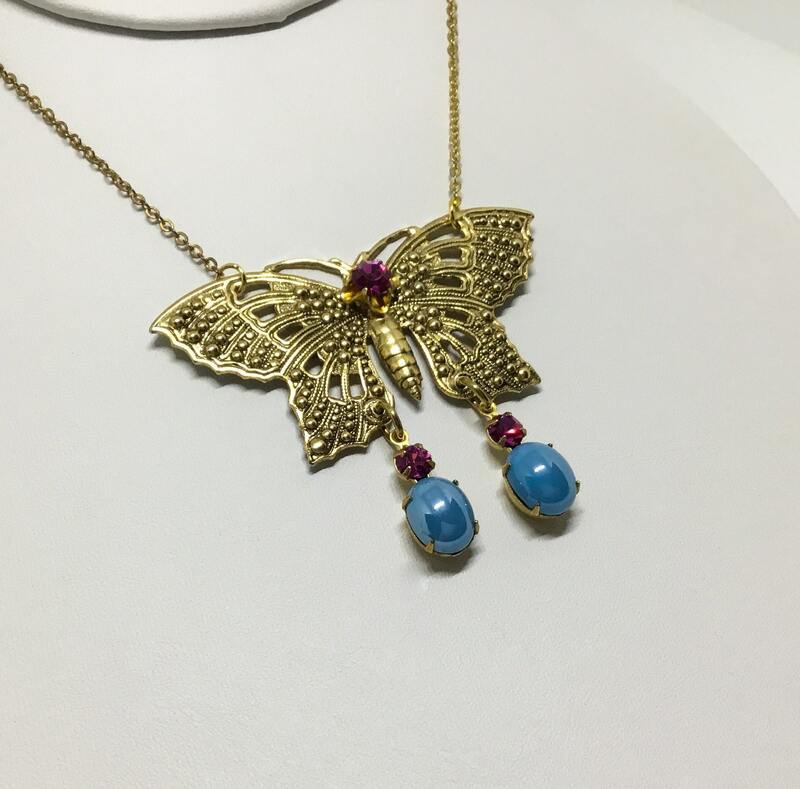 The butterfly has a metal bead design at the outside and inside of its wings. 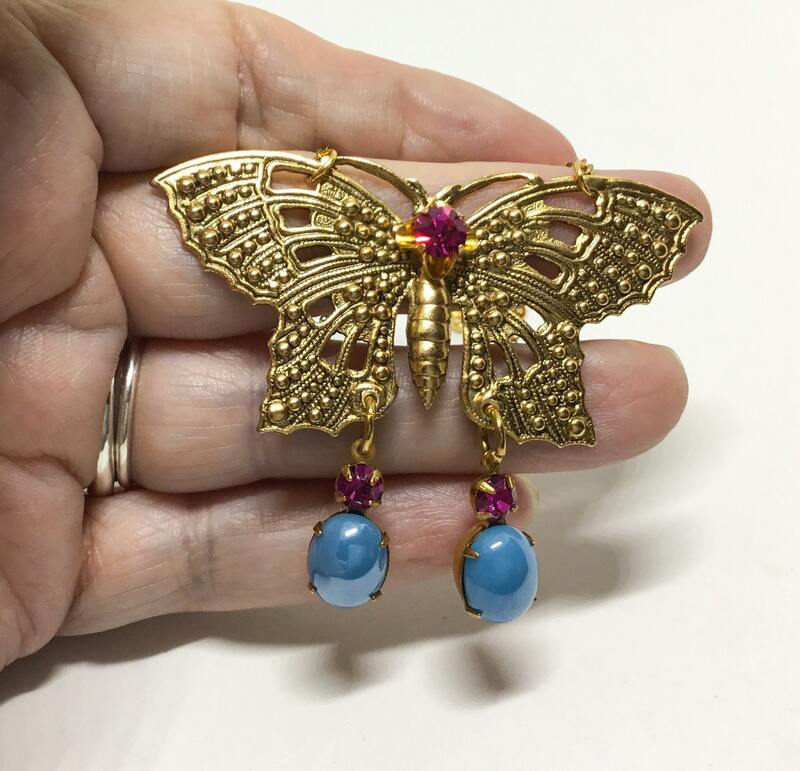 It measures 2 1/4” x 1 1/4” and with a 3/4” dangle on each wing. 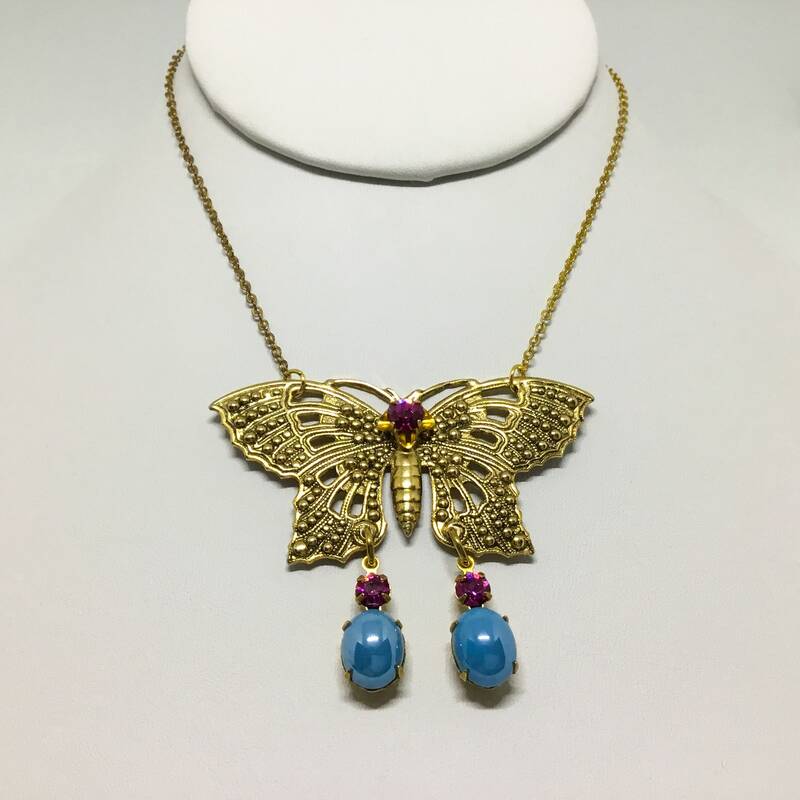 It comes with an 18” goldtone chain. 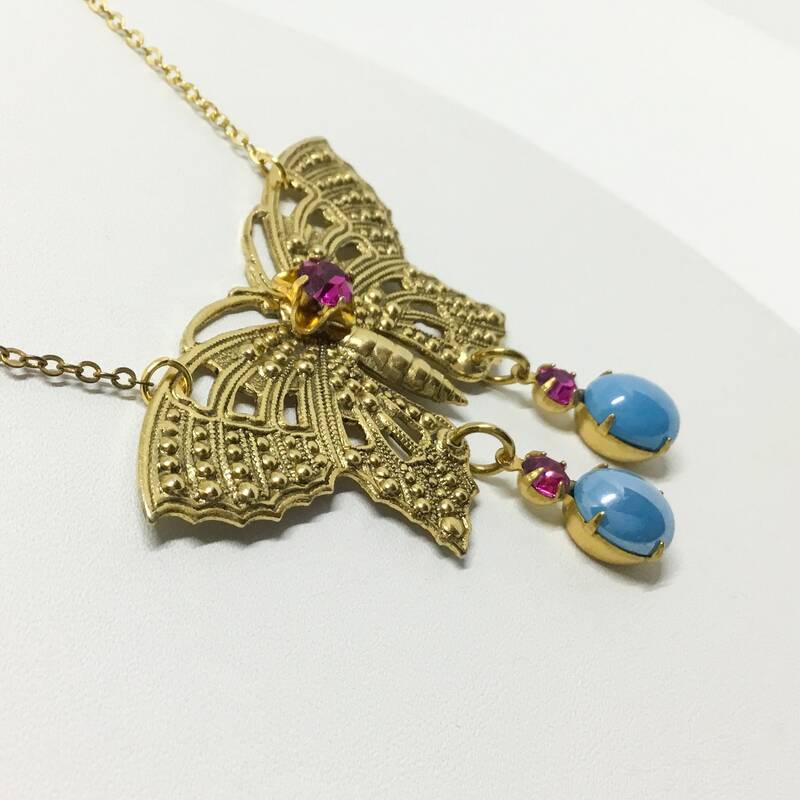 This enchanting Boho butterfly is adorable and will be a welcome addition to your wardrobe...it will definitely brighten your day!